Tonight, at the Sony E3 press conference, Activision and Bungie revealed the next great adventure in the Destiny saga – Destiny: The Taken King. Bungie and Activision Publishing, Inc., announced The Taken King, a major expansion and by far the largest addition to the Destiny universe yet. 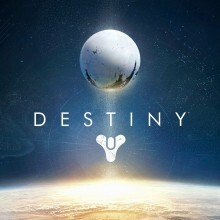 Building upon Destiny, the biggest new video game franchise launch in history, The Taken King grows the universe with the first full destination to be added to the game since launch, an all-new campaign, three new Guardian subclasses, a massive arsenal of new armor, weapons and exotics, new Strikes and Crucible maps, a new Raid that will put players to the ultimate test, and more. The Taken King will be available world-wide on September 15, 2015. For new and existing Guardians ready to jump into the Destiny universe or continuing to carve their legends in the stars, the Legendary Edition is the ultimate place to start year two and includes content and updates for: Destiny, Expansion I: The Dark Below, Expansion II: House of Wolves, and features The Taken King. At launch PlayStation gamers will also get access to a host of additional content for The Taken King, including a Strike, a Crucible map, three sets of gear and an exotic weapon, exclusive until Fall 2016. Every Guardian class will get access to a third subclass with the purchase of The Taken King, and will be showcased through competitive multiplayer with two new modes and four new maps at the 2015 Electronic Entertainment Expo (E3 Expo) taking place at the Los Angeles Convention Center on June 16-18. The Taken King is rating pending by the ESRB, and will be available for the PlayStation 4, PlayStation 3, Xbox One, and Xbox 360 on September 15, 2015. The Taken King is ready to unleash an early glimpse at the upcoming major expansion to the Destiny universe at this year’s E3. Before show goers get their hands on three new subclasses, two new Crucible modes and the 4 new Crucible maps on display at E3, they will get the chance to see the latest video from Bungie and Activision, Destiny: The Taken King ViDoc.